Ever feel like the problems keep stacking up and the solutions are nowhere to be seen? We see it too, and that’s part of why at HEART we want our students to be innovative and proactive with their ideas to solve problems that communities face and to share the love of Christ through action that can be seen as legitimate to all. To move towards this ideal we have all of our 15 week program students do a semester-long student project. The student project is one of the fundamental parts of the HEART coursework. Students are challenged from the beginning of their 15 weeks here to conceptualize, develop, and produce a practical and appropriate way to be the hands and feet of Christ in the developing world. Caleb has been developing a handmade wooden version of the popular board-game Settlers of Catan as a way to bring the community together with fun and relaxation after a hard day’s work. 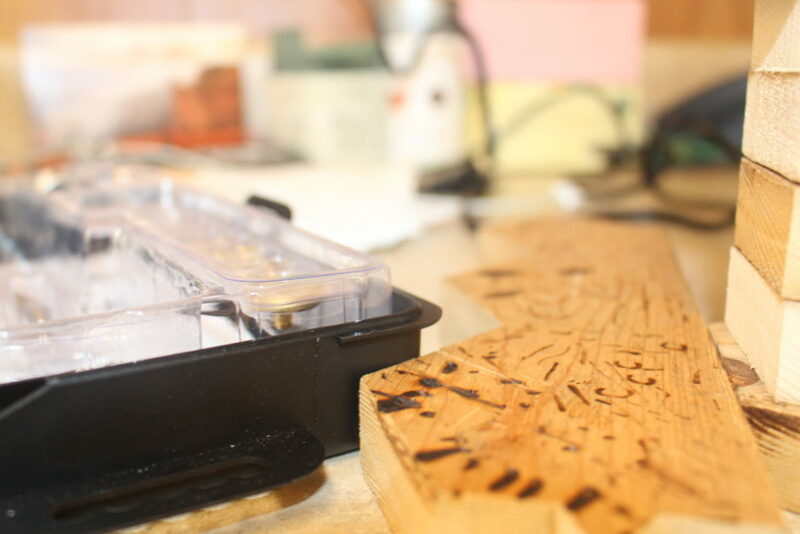 He’s cut out the pieces and burned the artwork into the wood himself. 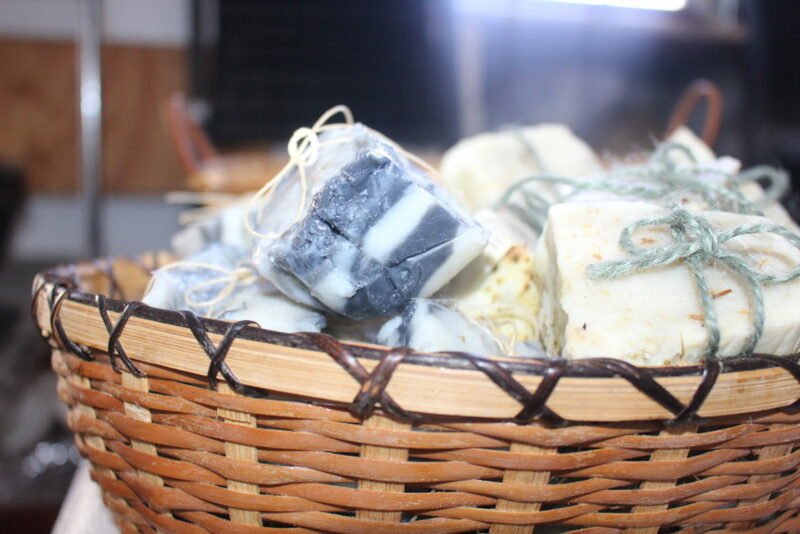 Hannah is learning about and working to make cold-press soap both as a way to encourage cleanliness, and to instruct others how to turn this process into a profitable business to support families in East Africa. She’s been making quite a few to go around. 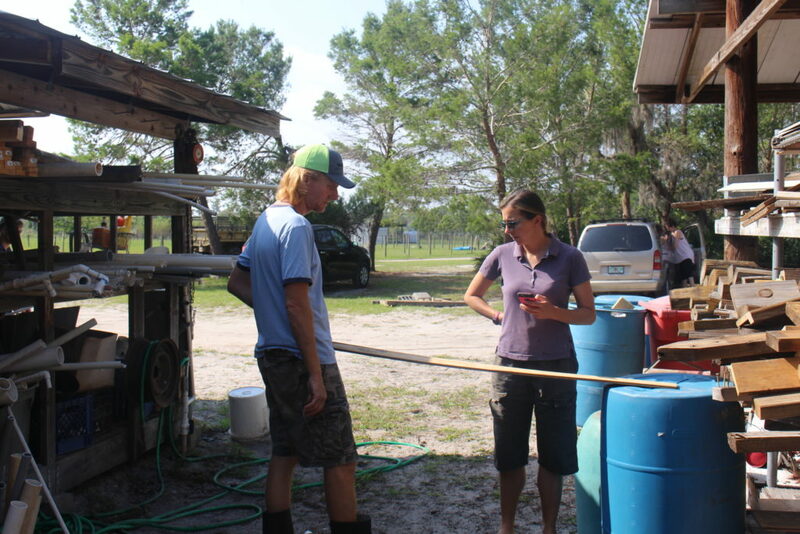 Kristen and Kevin are working together to learn and innovate on chicken raising methods, specifically creating a low-maintenance chicken feeding system to help poor communities with their food production. 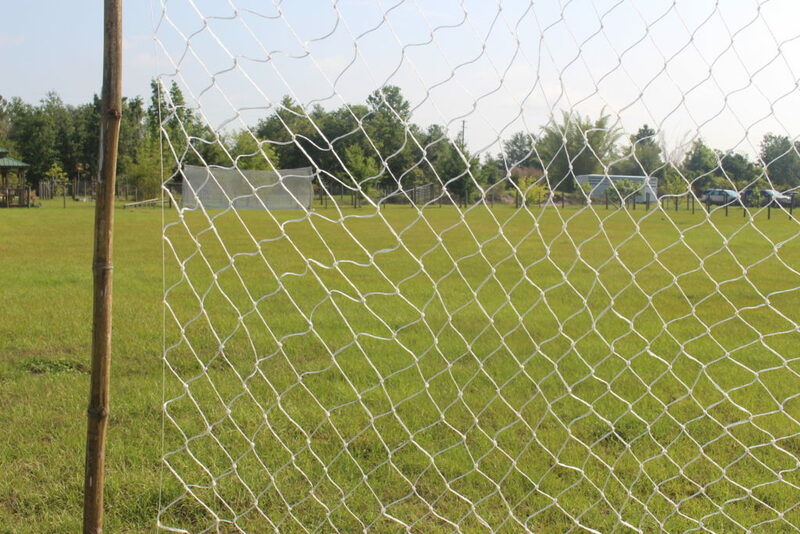 Lianna is making a soccer goal out of bamboo and nylon twine interwoven into a net. She hopes to use this as a way to encourage soccer ministry which is an area of community development she has prior experience in. Here’s a peek at what it looks like now. 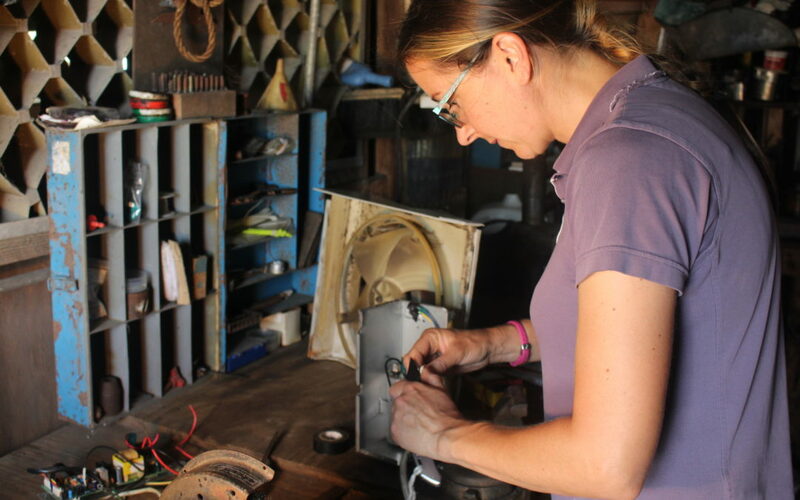 Megan is building a more efficient bread oven for our outdoor kitchen area, drawing the design idea partially from our already existing rocket stove, and pulling inspiration from her prior experience working in a bakery. 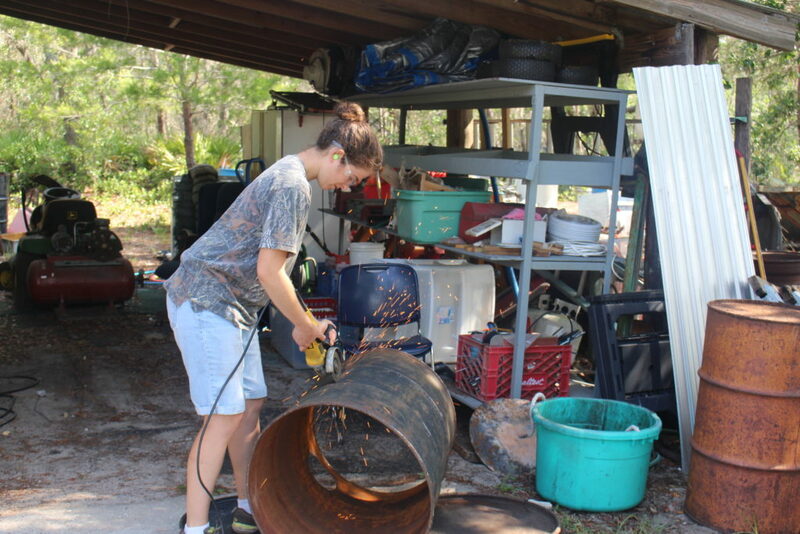 Her project has required her to work hard with large metal drums and power tools. Michael is building a workout bench and designing an exercise ministry program to build physical strength with others while building relationships and spiritual strength at the same time. 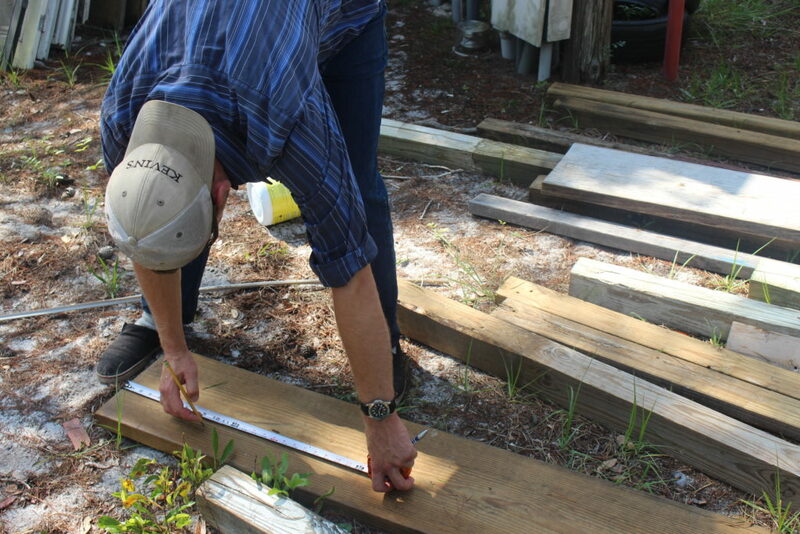 Here he is measuring out his wood for the bench. 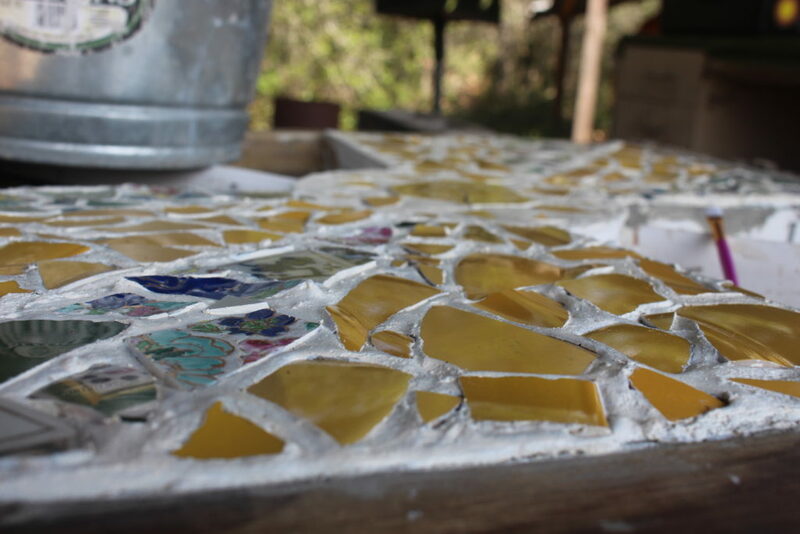 Rhone is designing and building a symbolic mosaic table both to represent the idea of broken people coming together in a community, and to help bring together these broken people into a community as a class. It’s looking pretty amazing so far. What kind of projects are you working on? Any ideas for solutions to the problems we face today? We’d love to hear from you so we can learn and grow from each other. If you’re interested in becoming a student and testing your creative abilities check out our 15 week program. Or you could try a shorter immersion into the HEART experience with our 3 week program. I visited your village on Sunday, April 22nd. I’m sorry that I missed meeting the instructors, but I was extremely impressed with your operation, the students I met, and the village grounds. I was able to take some of the trails around the property, and it was all very lovely! Thank you so much for taking care of my precious daughter, Hannah Stansbury. She has grown and learned so much there!